Baahubali 2 has better special effects and bigger battle sequences but its success lies in Rajamouli’s ability to turn a frankly standard story of sibling rivalry and revenge into an entertaining and consistently watchable film. Despite its running time of 2 hours and 47 minutes, I was never bored.I’m going with three-and-a-half out of five. The last film felt more organic, this one throws everything at the screen, and it’s hard not to submit. On the whole, the BAAHUBALI franchise has successfully created its own world and some incredible characters that are sure to stay with you for a long, long time. Talking specifically of BAAHUBALI-2, it’s a feast for moviegoers and has the trappings to make all generations its fan. The film is sure to vanquish previous BO records and rewrite the rules of the game. 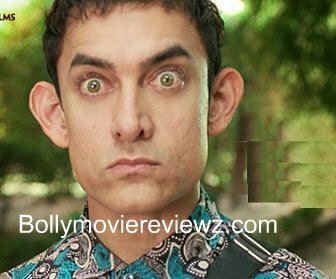 It shouldn’t come as a surprise if it turns out to be the biggest grosser of Indian cinema. 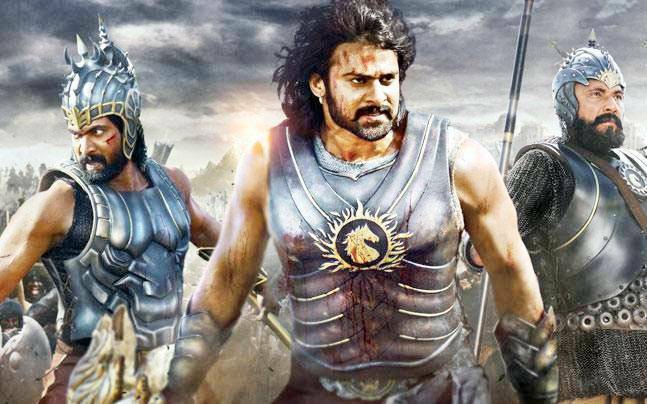 East, West, North, South… BAAHUBALI-2 is akin to a typhoon that will end the dry spell at the BO and go down as a textbook on how to make a solid entertainer. On the whole, Bahubali 2: The Conclusion is not just a movie, it is a phenomenon. It will set new benchmarks for a dubbed film and will emerge as one of the biggest Hindi blockbusters of all time. Why, it may also turn out to be the biggest ever blockbuster in Hindi in spite of being a dubbed fare. If the business of all the versions (Telugu, Tamil, Hindi dubbed and Malayalam dubbed) is considered, it will prove to be the BIGGEST BLOCKBUSTER EVER, no questions asked. This is the rare sequel that is better than the first. Rajamouli’s original Baahubali was engaging and effective but significantly overstuffed, with waterfalls and a weird romantic track and far too many songs for the genre, while this film is a lot more assured about both narrative and tone. The story proceeds briskly and intriguingly, and Rajamouli has a gift for swerving away from what appears obvious. This film stays tight despite a 171 minute running time, with well-written characters and motivations. The problem, however, is that with nearly four-fifths of the new film playing out as a flashback, it leaves very little time to satisfactorily tie things up once we return to the present. But what took our breath away in 2015 is same old in 2017. Yes, it is bigger, but it is not better. And it feels much louder.I enjoyed the first part enormously. Baahubali The Conclusion comes to life only intermittently. Leaving the theatre, you can’t help wishing that Kattapa had killed the fellow earlier, for us to get a tighter, more economical and perhaps sharper conclusion. Indian cinephiles must salute Rajamouli for his vision and ambition. He once again gives us our Benhur and Ten Commandments experience rolled into one. Of course it is CGI and VFX that grab you in your seat, but Baahubali also takes you on an emotional rollercoaster ride. The romance between Devasena and Amarendra has the Titanic fervour. While the performances of the lead cast are all believable, it is Peter Hein’s action—with Baahubali doing the Van Damme split and some sweeps that set your spirits soaring. What Baahubali does is show the future of Indian big-screen cinema, if it has to survive the onslaught of Hollywood, or move beyond Rajini, Khans, Kapoor, and Kumar, to begin with. The manager in my theatre says he plans to start Saturday shows, 6.30 am onwards. I can’t think of a better way to start your day. The excitement is totally worth it. What you expect is not what you get. You are thirsting for action and drama, and you are served romance for most part. And when the action does begin, it’s less than wow. Disappointingly, you can see the CGI coming a mile away. The moods and the moments are nowhere close to the first installment of the film. The plot points are silly and similar to those in any TV serial. Brothers fighting, jealousy, manipulating the mother, death and deceit. Nothing new here. The climax drags after a point and disappoints. When the key revelation about Kattappa’s treachery is sprung upon us, it does not catch us by surprise. Presented as a fait accompli, it is terribly underwhelming. But Rajamouli is an exceptional storyteller and craftsman. He packs just enough into this magnum opus for it not be dismissed merely as a hollow extravaganza. It is in excess that the strength of Baahubali 2 lies and it makes no bones about it, take it or lump it. Baahubali 2 is an experience that should be enjoyed on the big screen. While the movie is overall good in most of the departments, we do wish Rajamouli could have given the movie a befitting conclusion. Still, I would recommend the movie for Prabhas and Anushka Shetty’s powerful performances and it’s epic grandeur. But large doesn’t always mean better. While the scale of the second part is bigger, the soul seemed stronger in the first installment. Baahubali 2: The Conclusion is a colorful amalgamation of hit serials like Game Of Thrones and those archaic Indian mythological series such as Mahabharata or the Ramayna. It’s bloody, gory and has an indefatigable hero who know how to slay his opponents. Watch this if you are a fan of fantasy fiction and love tales of warrior kings and fierce queens. Shiva, the son of Bahubali, begins to search for answers after he learns about his heritage.His story is juxtaposed with past events that unfolded in the Mahishmati Kingdom.